The Purpose of Life is to Discover your GIFT. The Work of Life is to Develop it. 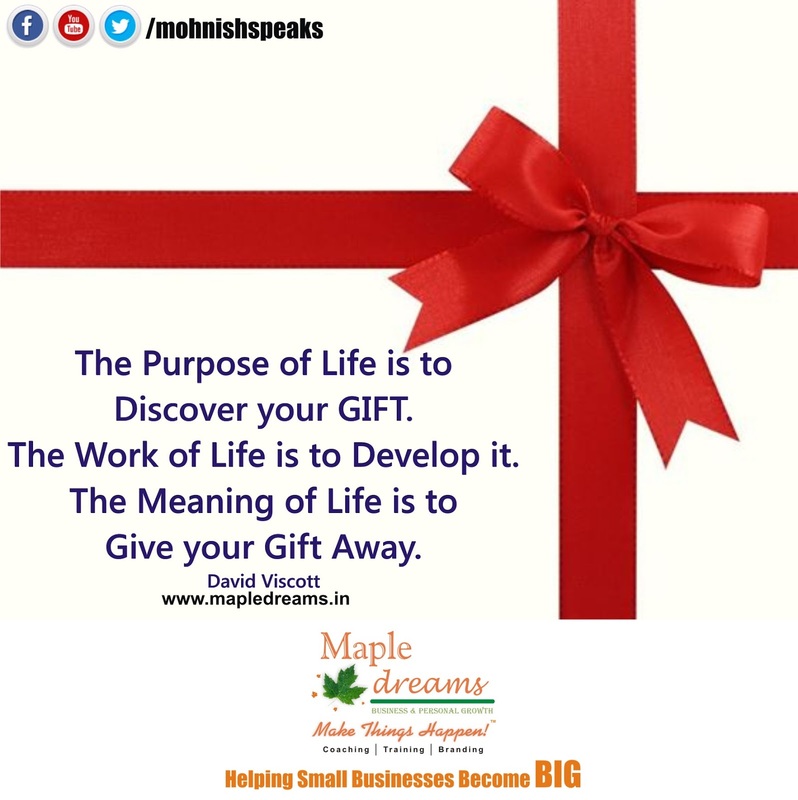 The Meaning of Life is to Give your Gift Away.